I flew into Takotna early Thursday afternoon. A few mushers are here taking their 24 hour layover. Both Rudy Demoski and Charlie Benja came through soon after I arrived. Rudy thought he would stay a bit, but decided to continue up the trail. Charlie stopped long enough to check his bags and have a piece of world famous Takotna pie. (Speaking of pie, my piece was delicious!) Charlie’s dogs looked on enviously as he devoured his pie, but he shared the crumbs. 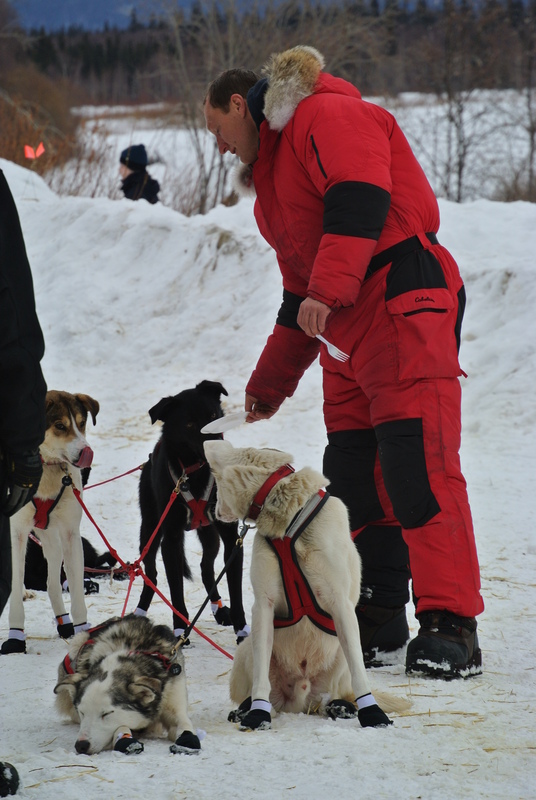 He talked to some of the local children and let them pet his dogs before he got back on the trail. It is unseasonably warm here with temperatures soaring at 38 degrees. Good for me, but not good for dogs. I talked to Rudy while he was feeding his dogs and he said that as soon as the dogs felt the cool wind they started running faster. Amazing! 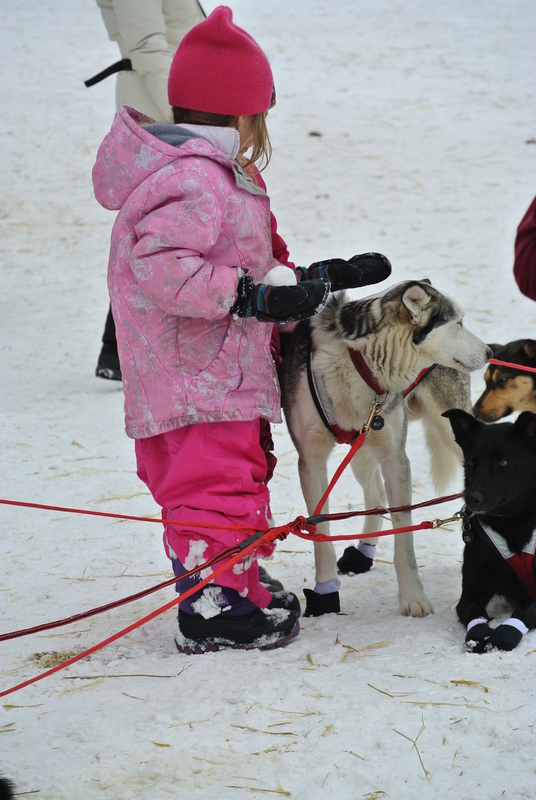 It has been so much fun hearing from students and teachers across the United States who are following the 2013 Iditarod. Here’s a special shout out to students in Ryan Hanson’s class in Spain who are following the race. I’ve known your teacher since he was in 4th grade. 🙂 Keep watching this year’s exciting Iditarod!